I dont think a Rage would have killed this pig! I love my Ribbtec 160 grains for my wood shafts! Non worries all, I appreciate everyones input. I was just going to buy a pack of a couple different ones and see what flies best. I also appreciate everyones reasoning behind what they shoot. I think I'll get a pack of Landsharks, VGA & Magnus to start with! Now the next question. Sharpening them blades? Best videos to watch, stones, etc? Lets see where this takes us??? LOL. Love TBH!!!!! For straight edge blades I was using a file and leather strop. Never did find a video that sharpens the way I was eventually taught (file parallel to edge). Ahhh controversy...I'm gonna go with the Larry H's Abowyer 200 gr this year when delivered,good match for my ACS CX and FMJs,... going back to the beveled heavy's...Boneheads were sold out..yikes ..they looked cool anyway...Until then , Grizzly's prior w real good luck, busts through shoulders and a pigs skull even... and tried the 3 blade Woodsman's too a few years back as well but..have some curled, bent, tips to show for it ,glancing off bones,n misses hitting rocks,look like elf shoes... but dropped a few critters,...killed a pig with a tiny little fixed 3 blade G5 last winter ,messin around,flew great, attached to a heavy carbon,didn't go far at all.. and have some discontinued BIG WIDE Scirrocos glued to some cedars ,look wicked,but have not killed anything with 'em.Facts are from my experiences ...Razor shavin' sharp , fixed blades, and delivered to your chosen location usually gets er done for me,....we're blessed with choices and opinions...hope your's drops em within site!! I'm guessing by flat, you mean that you orient your main blade horizontally rather than vertically. I also do the same and mainly for flight reasons as well. I'm pretty sure the reason behind that is a concept called "tillering." If you have ever sailed a boat and used to tiller to move your transom to the left or right, you can see the effect that I'm referring to. When you finger release an arrow, that arrow is going to bend back and forth horizontally. 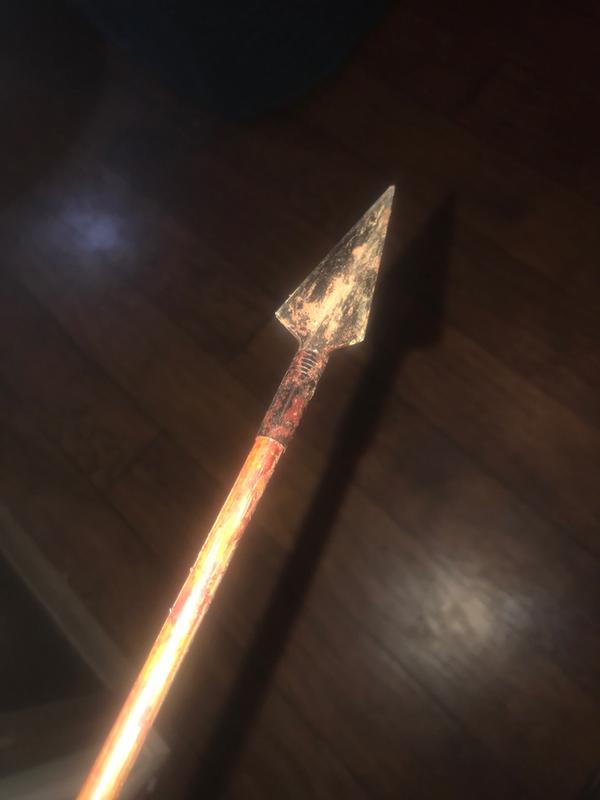 It dampens down over time and eventually gets out of "whack" as the arrow starts to rotate... but the biggest forces come when you first release. Well if your blade is set vertically, that blade acts just like a tiller in water (but in air) and steers a lot more. If you orient your blade horizontally, you don't get that effect as the blade "cuts" through the air. Back when I shot a compound, I had some tuning issues (essentially weak spine) that my broadheads would hit higher if I had them laying horizontally (on a compound/center shot with mechanical release, the arrow deflects up/down vs left/right on a finger release.) So I would orient my broadheads vertically to avoid the "tillering" effect. I shoot the Zwickey Deltas which is a pretty wide head, glued onto the 100 gr. steel inserts. While I've tried multiple heads over the last 55 years, I've stayed with them most and still shoot them now. On orientation, I still do it the way I learned and which was pretty standard then. I orient them so the edge is angled to be in alignment with the corner of the shelf. The idea was that the arrow flexes up from the shelf and out from the side plate and this lets the blade slice through the air and not grab air to plane off. I doubt it makes any difference but it always made sense to me.